The critically acclaimed author of the New York Times bestseller A Land More Kind Than Home—hailed as “a powerfully moving debut that reads as if Cormac McCarthy decided to rewrite Harper Lee’s To Kill a Mockingbird” (Richmond Times Dispatch)—returns with a resonant novel of love and atonement, blood and vengeance, set in western North Carolina, involving two young sisters, a wayward father, and an enemy determined to see him pay for his sins. After their mother’s unexpected death, twelve-year-old Easter and her six-year-old sister Ruby are adjusting to life in foster care when their errant father, Wade, suddenly appears. Since Wade signed away his legal rights, the only way he can get his daughters back is to steal them away in the night. Brady Weller, the girls’ court-appointed guardian, begins looking for Wade, and he quickly turns up unsettling information linking Wade to a recent armored car heist, one with a whopping $14.5 million missing. But Brady Weller isn’t the only one hunting the desperate father. Robert Pruitt, a shady and mercurial man nursing a years-old vendetta, is also determined to find Wade and claim his due. What a great read! The characters were bold and the story was deeply emotional. Through the good and the bad, this story held my attention and blocked out everything else around me. I felt so sad for Easter and Ruby and wanted their pain to go away. I had mixed feelings for their dad. One minute I didn’t like him at all and the next I did because he was at least trying to be the father he should have been all along…even though he went about it all wrong. I liked that the story was told from different points of view, for me that made it have much more depth. This is my first book by this author. A Land More Kind Than Home has been on my list to read for a while and I hope to read it soon. 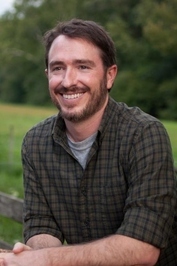 From author’s website: “Wiley Cash is The New York Times best-selling author of A LAND MORE KIND THAN HOME and THIS DARK ROAD TO MERCY, which are both available from William Morrow/​HarperCollinsPublishers. A LAND MORE KIND THAN HOME appeared on The New York Times bestsellers list in hardcover, paperback, and e-book. The New York Times also named it an Editor’s Choice and a Notable Book of 2012. The novel was included on best of 2012 lists by Library Journal, Kirkus Reviews, Books-a-Million, and many others. A LAND MORE KIND THAN HOME won the Southern Independent Bookseller Ailliances’ Book Award for Fiction of the Year and the John Creasey New Blood Dagger Award from the UK’s Crime Writers’ Association, and it was a finalist for the PEN/​Robert W. Bingham Prize and the American Booksellers’ Association’s Debut Fiction Prize. Wiley’s second novel, THIS DARK ROAD TO MERCY, was a national bestseller, an Indie Next Pick, a SIBA Okra Pick, an O Magazine Top Ten Title, a LibraryReads February Selection, and an Amazon Book of the Month. It has been optioned for film. Wiley holds a B.A. in Literature from the University of North Carolina-Asheville, an M.A. in English from the University of North Carolina-Greensboro, and a Ph.D. in English from the University of Louisiana-Lafayette. He has received grants and fellowships from the Asheville Area Arts Council, the Thomas Wolfe Society, the MacDowell Colony, and Yaddo. His stories have appeared in Crab Orchard Review, Roanoke Review and The Carolina Quarterly, and his essays on Southern literature have appeared in American Literary Realism, The South Carolina Review, and other publications. I can’t wait to see what Cash comes up with next! Yes I thoroughly enjoyed this one too, I love his name as well, and I think that’s what drew me to the book in the first place. Great read. I’ll have to check out a the other. This sounds very good, Vicki. Terrific review and presentation! I had not heard of the book before; now I will keep an eye out for this author’s work. This sounds really good. Great review! I hear nothing but praise for Wiley Cash! I have A Land More Kind Than Home on my kindle but glad to hear you like this one. I love stories that are told from alternating perspectives. 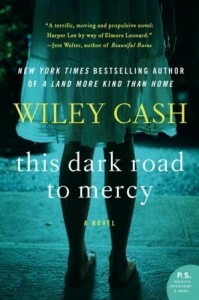 So many of my blogging circle of friends have raved about Wiley Cash, I really do need to read his work, so I have added ‘This Dark Road To Mercy’ to my ‘Want To Read’ list. Your own excellent review made me want to go and check out a few more opinions and almost to a person, every comment has been positive, which can’t be bad! The amount of male authors now writing in the emotional world of what was once a strictly female domain is good to see and that Wiley has also so successfully managed the emotions from a childs perspective, is so positive. Glad you enjoyed the book and thanks for sharing.